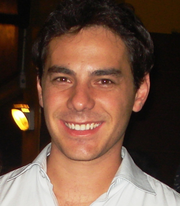 Vinicius C Oliveira is serving at an esteemed academic position in Department of Physical Therapy, School of Physical Education, Physiotherapy and Occupational Therapy. He is the recipient of numerous awards for his expert research works in related fields. His research interests reflect in his wide range of publications in various national and international journals. His research interest focuses on physical therapy, occupational therapy.